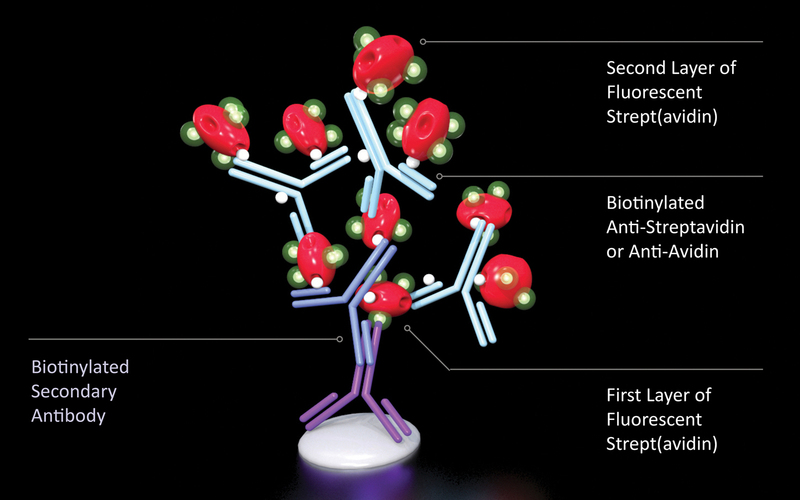 Vector offers anti-avidin and anti-streptavidin antibodies in biotinylated, fluorophore-conjugated, or unconjugated formats. The biotinylated formats are unique in that they allow binding to streptavidin or avidin through both of their antigen-binding sites and the covalently-attached biotin residues. 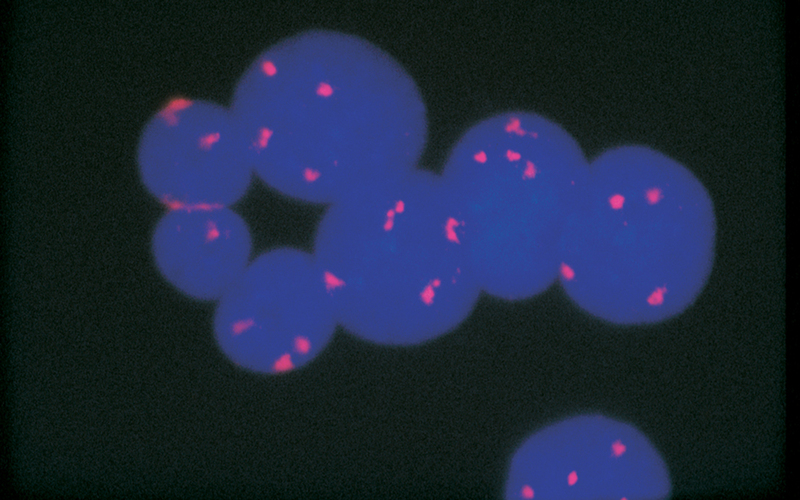 FastTag Biotin-conjugated human chromosome 1 centromere-specific probe detected with Texas Red Avidin DCS, Biotinylated Anti-Avidin and Texas Red Avidin DCS (red). Mounted in VECTASHIELD Mounting Medium with DAPI (blue).